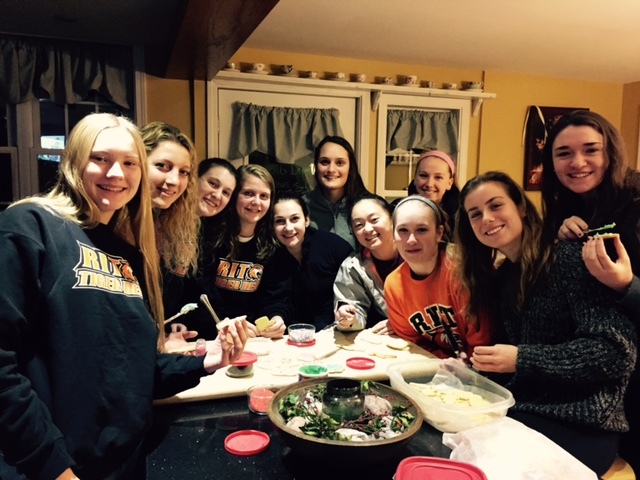 2015-2016 RIT Women’s Basketball Team decorating Christmas cookies. The St. Sebastian Society is a group of club and varsity student-athletes dedicated to serving the greater Rochester community. We provide service opportunities throughout the year with the understanding that members’ level of participation will vary when they are in season. Student Athletes are individuals who balance many interests at once. We believe the qualities learned and refined through participation in athletics and team sports are qualities that are beneficial to the society in which we live. We want to share the gifts and blessings we have been given with others in the greater Rochester area.